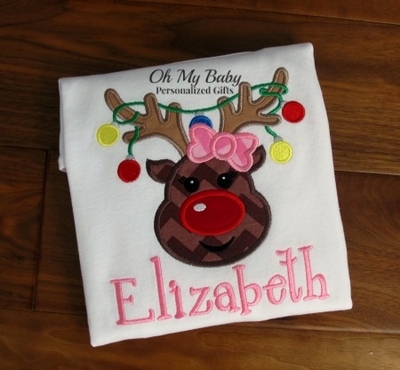 Fun reindeer with tangled lights in antlers applique design. Cute bow and eye lashes give her a girly touch. Embroidered name on bottom to complete the personalized Christmas shirt.